Prepare liturgies at church, at home or on the go with this interactive edition of Today's Liturgy! Over two-thirds of U.S. Catholic music ministers and liturgists turn to this quarterly magazine for insightful articles, liturgy worksheets, music suggestions for each Sunday and holy day and more to serve the needs of their parish. With the convenience of an annual online subscription, you'll have everything at your fingertips to plan liturgies at church, home or on the go! Modifiable planning pages and more! 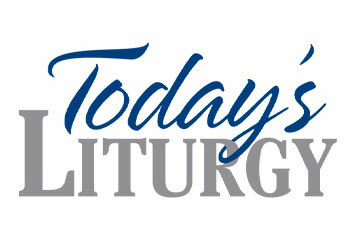 Start an online subscription to Today's Liturgy today! Do you also have a Spanish-speaking or bilingual assembly? Add an annual online subscription to Liturgia y Canción—a quarterly planning guide designed specifically for multicultural parishes! This is the interactive PDF edition of the Ordinary Time 1 2019 issue of Today's Liturgy. Get the most out of this invaluable liturgy preparation resource with sheet music previews, links to sound samples and featured products, modifiable planning pages and more! This is the interactive PDF edition of the Lent Holy Week Easter 2019 issue of Today's Liturgy. For more than 40 years, this well-respected quarterly magazine has been a key resource for music ministers and liturgists. Offering insightful articles and practical tips from trusted contributors, Today's Liturgy also provides useful liturgy planning worksheets and music suggestions for each Sunday and holy day. Get the most out of this invaluable liturgy preparation resource with this interactive PDF edition—featuring sheet music previews, links to sound samples and featured products, modifiable planning worksheets and more! Featured articles and special series from well-known composers, liturgists and musicians, including Ken Canedo, Rory Cooney, Dan Schutte, Father Ron Raab, Sister of Charity of Leavenworth Mary Jo Quinn, Deacon Owen Cummings and more! Subscribe and get all four issues of the PDF edition or purchase individual PDF editions of each issue.